Welcome to the Ranaviru Fund, ආයුබෝවන්! රණවිරු අරමුදලේ අන්තර්ජාල අඩවියට පිවිසුණු ඔබ සාදරයෙන් පිළිගනිමු! 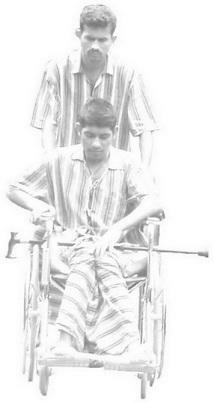 The Ranaviru Fund (English meaning War Heroes' Fund) was established in May 2008 to support disabled and wounded soldiers in Sri Lanka by providing Medical & Rehabilitation aid. 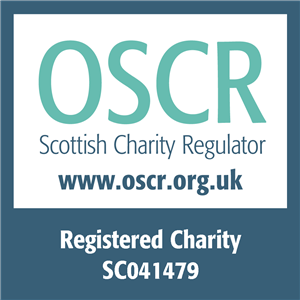 Ranaviru Fund was granted the Registered Charity status in May 2010 from the Office of the Scottish Charity Regulator (OSCR). The charity was founded by a group of like minded people to support those who are less fortunate than the most of us. Charity's main fund raising arm is operational in the United Kingdom and in Sri Lanka while there are several other volunteers operating from other parts of the world. All of our volunteers are working tirelessly to meet the objectives of the charity. We do not employ any paid staff and also we operate a cost free working model to ensure that 100% of receivable donations are directed to the intended cause. Our primary objective is to support the families of those who lost lives, who suffered life changing injuries or trauma and also the immediate families of such personnel. By providing medical, welfare, social, educational and financial assistance we are focusing the service personnel and their immediate families in Sri Lanka, where a 30 year long fight against terrorism has ended in 2009. With your support over the past several years we were able to deliver a lot for the benefit of those who mentioned above. But that's only a bit, the vast amount of work still to be done. Without your support we cannot do it. Without us doing that, those who deserve that support won't get it. All your donations via CharityChoice are processed free of charge to us if you opt to pay a small transaction fee. That means 100% of your donations are utilised to the reasons they were donated for and are reached by those who deserve it, 100%. ... for Heroes of Our Time! ... අපේ කාලයේ විරුවන් වෙනුවෙන්! When the sun goes down and in the morning we will remember them! - හිරු බසින සැන්දෑවේත් හිරු නගින උදෑසනත් අපි ඔබ සිහි කරන්නෙමු! Rs. 2.3 million was paid for the bone marrow to the Indian hospital. Rs. 8.6 million was paid to Asiri Central. The family currently living in a rented house in Colombo. They will need to live in Colombo for at least for 6 months until all tests are done and patient can lead a normal life. Child was re-admitted to hospital last week after getting a fewer. She was in hospital for 5 days. Cost 320,000/-. The doctors have warned that this kind of problems will have to be faced until she fully recovers. Tests are done weekly and cost LKR 130,000.00 per test. Ranaviru Fund would like to send our sincere gratitude to all those who supported through Ranaviru Fund and otherwise to save Hashini's life. Thank you! Miss. Hashini Imasha Rajapaksha (14 years) has been diagnosed with a condition of Thallassaemia major. This condition needs regular blood transfusions monthly and iron chelation treatment daily. As this is a genetic condition there is no permanent cure other than Bone Marrow Transplant. This procedure is scheduled to be done in India at an estimated cost of Rs. 7 million. Father, Sgt. Aruna Krishantha Rajapakshe, is a retired solider of the Sri Lanka Army with a 22 years of service. He has so far collected Rs. 2 million, by selling a property and through donations. They need a further 5 million. We are appealing to all our donors help at us fund at least Rs.500,000.00 of the balance Rs.5 million. You can directly donate to this appeal via our fundraising partner, Charity Choice by clicking the 'Donate Now' button below. 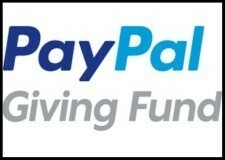 Please GiftAid your donation if you are UK income tax payer, with GiftAid as a UK registered charity we can raise 25% more at no extra cost to you. If you are a higher rate tax payer you will be benefitted giving with GiftAid. Please speak to your accountant for more details. Read more for donation details.